When Gov. Peter Shumlin announced in June that he would not seek another term, lots of people said they were thinking about making a run. One of them was Doug Racine, the former lieutenant governor, former state senator and former state human services secretary who narrowly lost the 2002 governor’s race and the 2010 Democratic gubernatorial primary. Racine won't be running this time around, he said Monday. He is instead backing Democrat Sue Minter, a former state legislator who recently stepped down as Agency of Transportation secretary to launch her campaign for governor. “I like her politics and I like her experience as a legislator and a manager,” Racine said. Racine and state Rep. Mary Sullivan (D-Burlington) are hosting an October meet-and-greet for Minter in Burlington. Minter so far is facing House Speaker Shap Smith (D-Morristown) and former state senator Matt Dunne in a Democratic primary. Racine's endorsement could help the lesser-known Minter gain traction among those on the liberal side of the Democratic Party, territory some argue is unrepresented by the current field of candidates. Progressive Party chair Emma Mulvaney-Stanak said that though she doesn’t know much about Minter, she is skeptical that any of the Democratic candidates would sufficiently stand up for low-income Vermonters. The Progressives are loathe to back any of them, she said, and hope to have their own candidate. Former state senator Peter Galbraith, a Democrat, is also considering running for governor, saying he wants to ensure progressive views are represented. Racine, who served in Shumlin’s cabinet with Minter, said he thinks she fits the bill. “Of all the candidates, she represents the most progressive policies,” he said. 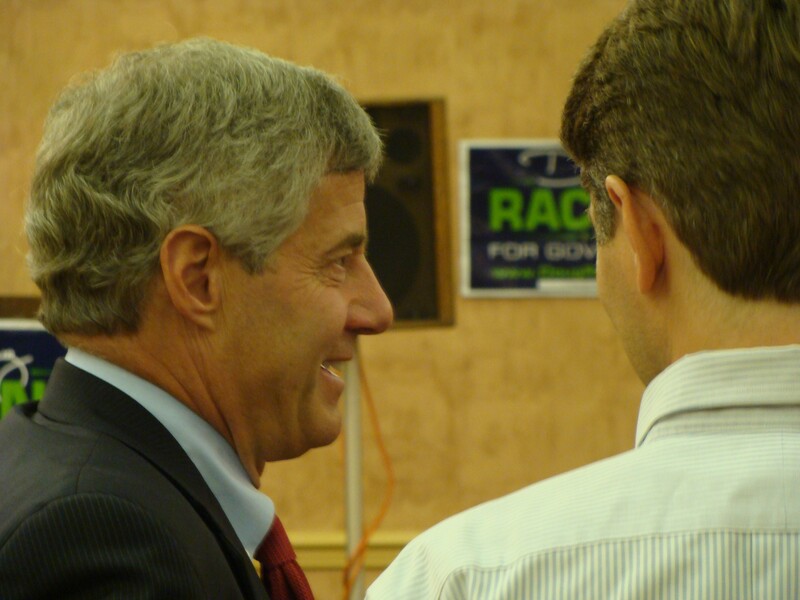 Racine said he concluded within about a month of Shumlin’s announcement that he wouldn’t be a candidate, though he’s not ruling out future campaigns. He said that he encouraged Minter to run.